Matt Taibbi’s Griftopia is an important book, and it will make you angry enough to froth at the mouth. America is the last superpower, the nation that put men on the moon. And now all of a sudden we can’t pay for our children to have an education or for police officers to keep the streets safe. Where’d all the money go? Tax breaks for the super-rich and corporations, for quagmired foreign wars, and to the Wall Street banks that created the stock bubble of the late ’90s, the housing bubble, and drove oil and wheat prices into the stratosphere. The Wall Street machinations are the focus of Matt Taibbi’s Griftopia: Bubble Machines, Vampire Squids, and the Long Con That Is Breaking America. Griftopia is required reading not just for Americans but for anybody in the Western world who’s wondering just what the hell is going on with the economy. The picture Taibbi paints is infuriating, a breathtaking corruption between Wall Street and Congress. We are talking banana republic-levels of corruption and an oligarchy immune to our laws. Which sounds histrionic and Black Helicopter-crowd deranged, but Taibbi has done his research. 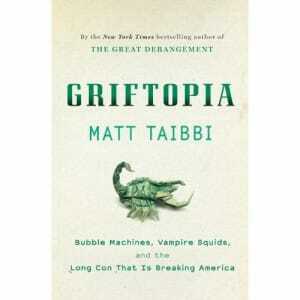 For some reason I don’t fully understand, Taibbi starts Griftopia with a discussion about the Tea Party. It’s solid and he posits an answer to the frustrating question of why the Tea Party thinks government is the problem even in areas like the bubble-fueled depression where the problem was a lack of government intervention (together with the aforementioned corruption). Read it and you’ll find out. So, Griftopia is a very important book and one you should read. 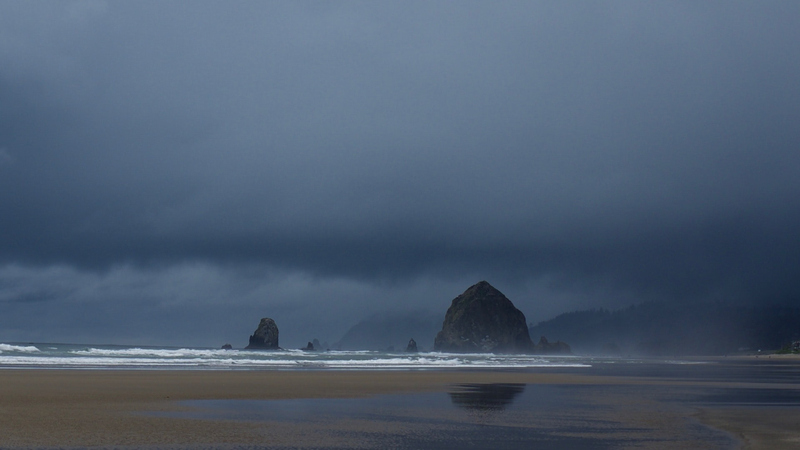 But it’s not without its flaws. The Tea Party discussion at the beginning is interesting, but a bit beside the point. And the tone could certainly be improved—Taibbi relishes his hipsterdom as a Rolling Stone reporter a bit much. The material is strong enough that gratuitous f-bombs could be edited out and the writing tightened up in general. But that’s quibbles. Read it. And get angry.